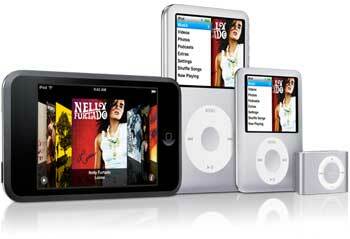 AVI, MPG, FLV, 3GP, MKV, MP4 for iPod, iPhone, PSP! Mini DVD Media has become one of the most frequently used mediums, especially with camcorder recordings. 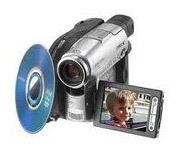 Some DVD camcorders like Sony, Panasonic, Canon, Hitachi, SAMSUNG can work as DVD recorders from capturing the data to finalizing the disk, so that you can immediately view your recordings with your camcorder. However, if you want to watch your recordings on Windows Media Player or multimedia devices such as iPod, iPhone, PSP, Zune, you will need to get a Mini DVD Converter. Anvsoft Mini DVD Converter is the best solution for you to rip your MiniDVD recordings. With it, you can easily convert your Mini DVD-R/DVD-RW/DVD+R to the most popular video formats, such as AVI, WMV, 3GP, FLV, HD M2TS video and AAC, MP3, OGG, WMA, etc. In addition, this Mini DVD Converter possesses more useful video editing functions for you to optimize your MiniDVD recordings. Anvsoft Mini DVD Converter gives you the power to convert all your MiniDVD recordings made by DVD Camcorders to popular standard and high definition videos such as WMV, AVI, MP4, MPG, MPEG-1, MPEG-2, ASF, FLV, 3GP, 3G2, SWF, M2TS, MKV. 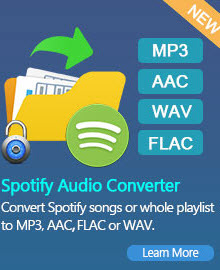 And, you are also able to extract soundtracks from Mini DVD video clips and convert MiniDVD to MP3, WMA, WAV, AAC, M4A, and OGG audio formats. Come with optimized and classified conversion profiles for a wide range of multimedia devices, Anvsoft Mini DVD Converter allows you to directly convert Mini DVD to iPod, iPod Touch, iPad, iPhone, Apple TV, Xbox, PS3, Zune, Google phones, Android phones, Windows Phones, PSP, Archos, BlackBerry, Sony Walkman, Creative Zen, iRiver, Sandisk Sansa, and more portable devices for enjoying on the go. Besides, you can also adjust the output parameters such as video codec, frame size, video bitrate, video framerate, encoding pass, audio codec, sample rate, channel, etc. so as to convert the MiniDVD to a better quality video file. 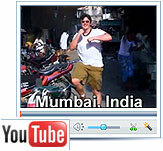 Want to upload your Mini DVD recording to YouTube for sharing with friends around the world? Well, you will need to use Mini DVD Converter to rip MiniDVD to YouTube supported video formats such as FLV, MP4, WMV, HD MP4, HD AVI, HD WMV, 3GP. Apart from the flexible conversion features, Anvsoft Mini DVD Converter is also equipped with powerful video editing function giving you the ability to clip a Mini DVD to extract your favorite segments, split a Mini DVD into segments, and merge several Mini DVDs into one so that you can enjoy them without pause. You may also crop the Mini DVD frame to remove unwanted parts, adjust image effects, add external srt subtitles to Mini DVD recordings, and do much more. iMovie will not deal with Mini DVD natively, so you will probably need a third party program like AnvSoft Mini DVD Converter to convert your Mini DVDs into iMovie compatible MPEG-4 video format before editing. If you only have a Mac, you will need to download our Any DVD Converter for Mac to do this job. 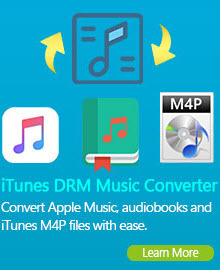 The Mac DVD Converter not only allows you to convert Mini DVDs recorded by Sony, Panasonic, Canon, Hitachi, SAMSUNG DVD camcorders, but also able to rip copy protected DVD movies. MiniDVD (Mini DVD or miniDVD) or cDVD are 80mm versions of the standard 120mm DVD Media. Also known as “3-inch DVDs”, a single-sided mini DVD-R has the capacity to hold 30 minutes of recording time (1.4GB of data) in standard DVD quality recording or 120 minutes of video in SLP mode. Another option is the double-sided mini DVD-R media, which has the capacity of holding a full hour of recording time (2.92GB of data). Despite its smaller size, mini DVDs can be played back in most CD/DVD players (just look to see your media player tray as a identation to place a smaller disc). Consumers now have the luxury to record video or data directly inside the camcorder, which will save valuable production time over transferring videos/pictures onto a computer and then finally burning a DVD. Although smaller in size, mini DVDs can replay in most DVD players. Like its counterpart, the DVD, it is an ideal medium for a broad range of mobile storage applications with or without multimedia content such as digital audio, video, still images, graphics, business presentations, internet downloads or just data sharing.